12. Hey Baby (Land Of The New Rising Sun) - M.A.C.C. 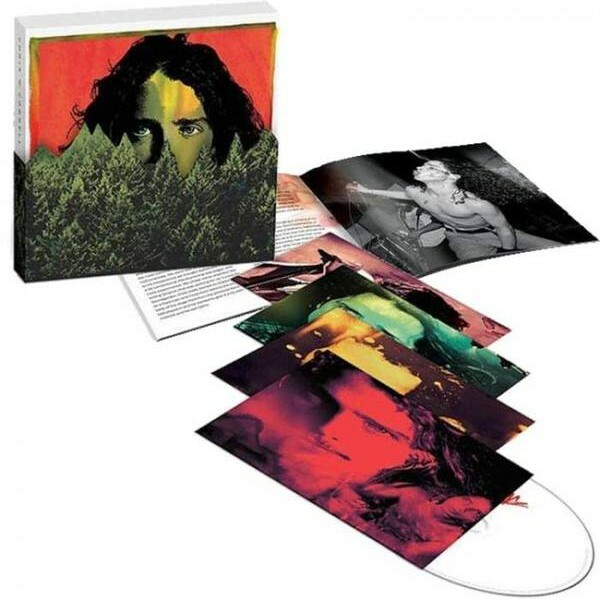 시애틀 그런지의 대표 밴드 Soundgarden의 프론트맨 Chris Cornell의 셀프타이틀 베스트 컨필레이션 앨범 Chris Cornell [4CD Box Set]! 그룹 Soundgarden, Temple of the Dog, Audioslave의 메인 보컬리스트로 활동한 그런지 록의 산증인, 2017년 5월 18일 Soundgarden 공연을 마친 후 호텔 욕실에서 자살로 추정되는 주검으로 발견되어 많은 록팬들의 마음을 안타깝게 했다. 2007년 솔로 앨범 [Carry On] 홍보를 위해 프로모션용으로 제작되었던 [The Roads We Choose ？ A Retrospective]이후 사실상 그가 사망한 후 처음으로 발표되는 베스트 앨범으로 팀 Soundgarden, Temple of the Dog, Audioslave 시절의 대표곡들과 함께 솔로 싱글, 공식 음원으로 처음 공개되는 다수의 라이브 트랙들 담고 있어 소장가치를 더해주고 있다.